Think of the amazing people in your life. Take an hour to write those people a letter telling them why they’re awesome. Wouldn’t you love to get a letter like that? If you’re buying gifts on Amazon, use the Amazon Smile URL and a percentage of your purchase price will go to the charity of your choice at no extra cost to you. 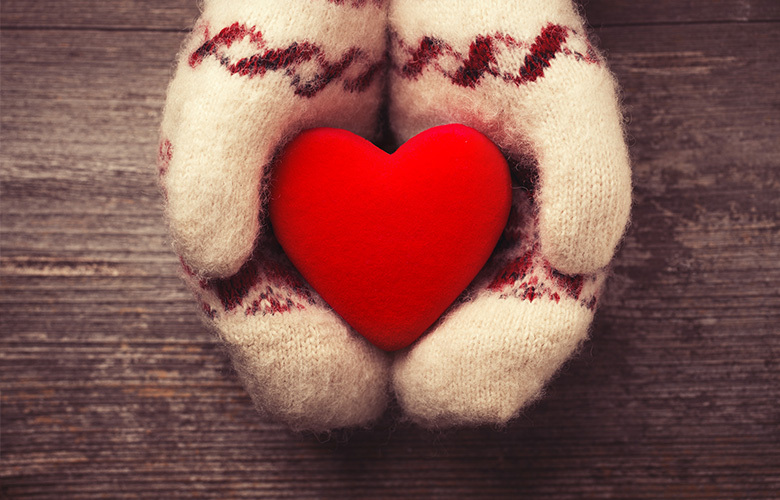 When you buy gifts from one of 1,700 participating online retailers, you can use iGive to have that retailer donate money to your favorite charity (again, at no cost to you). This includes major retailers like Target, Walmart, Bed Bath & Beyond, and others. Get ready for the new, by getting rid of the old . . . Use those boxes piling up from your online gift buying to pack up clothes, household items, games or other items you no longer need, and Givebackbox.com will provide a prepaid shipping label so you can have the items shipped to a nonprofit at no charge. This can be done from any state in the US. If you choose the charity to which you’d like to send your items you pay for shipping. If you send it to Give Back Box and let them distribute to nonprofits, the shipping is free. The Salvation Army also accepts the same items as Big Brothers Big Sisters, and they will pick them up from your house (pickup is only in certain geographies, so check their zip code search feature). Donations to the Salvation Army support their adult rehabilitation centers. The Military Order of the Purple Heart will pickup clothes, small appliances, electronics, toys and much more to benefit veterans. Here’s a list of what they will pick up. They operate in NJ, DE, PA, MD, CT, VA and NY. Big Brothers Big Sisters will pick up your donations of clothing, household items, electronics and other items. They use all proceeds to support mentoring children. Pickups are currently offered in NJ, DE, PA (Philadelphia, Lehigh Valley, Bucks County, Delaware County, Montgomery County). You can donate all sorts of items you no longer use to various nonprofits. Here is a list of where to donate clothes, furniture, old phones, inkjet cartridges, children’s clothes and books, appliances, electronics, cars, eyeglasses and more. Participate in a holiday program to buy gifts for kids who might not otherwise get gifts. Here’s an uplifting story about how one present from a holiday gift program – a small guitar – inspired Jimmy Barber to grow up to help thousands of kids. Call your local Salvation Army to see if they have an Angel Tree Program. You can use the site’s zip code search to find your location, but you will need to call (scroll to find the zip code tool). Some locations will allow businesses to take an entire tree for their lobby. Adopt military families. Military families often have a very tight budget, and could use some help over the holidays. It’s also a chance to show America’s gratitude by providing some gifts for military kids and parents. Send cards to lonely seniors. 13-year-old Jacob Cramer started Love for the Elderly, which distributes letters to American seniors via senior centers and nonprofit organizations. This page explains how you can send a postal letter. Letters have come in from all over including Cleveland, Asia and Scotland. You can also send mail to Cards for Hospitalized Kids, which delivers the cards to children in US hospitals. These are great activities for individuals, families and classrooms. Doing some cleanup or repairs around your house before the holidays? Post odd jobs on Hire Patriots and provide much needed work to Veterans working hard to support their families. Donate a small sum of money to a charity you love. Don’t think a small donation can make a huge difference? Read this inspirational story about a donation of $15 a month that had an incredible ripple effect, changing the lives of over 300 families. Miracle Feet funds surgeries to cure Clubfoot. 1 in every 750 kids worldwide is born with club foot – a deformity that left untreated leads to inability to walk. Over 1 million kids have untreated clubfoot. In many countries, disability leads to neglect, abuse and inability to have a decent life. Those countries are often the ones that don’t have the resources for treatment. $250 will treat one child’s clubfoot, and change that child’s life forever. Himalayan Cataract Project (HCP) cures blindness by providing a 10-minutes surgery that fixes cataracts. HCP has taken a procedure that costs $3,000 in the US and has brought that cost down to under $200 ($115-$169) per eye in developing nations. So far, HCP has helped restore sight to about 500,000 people in Nepal, Tibet, Pakistan, India, Bhutan, China, Thailand, Vietnam, and North Korea. Their site says it costs $25 for each surgery, but that doesn’t incorporate all of their costs. I worked with their head of maketing/PR to get the costs listed here ($115 – $169 per eye). A bargain for curing blindness! Write a quick thank you note to the people who serve you every day – mail carrier, trash collectors, etc. This is an especially good activity for our kids to remind them of people they might take for granted. “Can I pick something up for you?” Everyone is so stressed over the holidays. If you’re going to the store already, call a neighbor you think could use a break and ask if she’d like you to pick something up for her while you’re at the store. Help a teacher get the supplies needed for class. DonorsChoose.org let’s you support schools and teachers in your community so students can get the tools, supplies and experiences they need for a great education. You scroll through the requests of different teachers and choose the one you’d like to support. Here’s an opportunity where a small donation will make a big difference. Provide a small gift and note to a neighbor or friend. A woman on our street gives our son a holiday basket every year. It probably costs $5, but it makes our son (and us) ecstatic. Collect change in a jar all year (or at this point for the month of December). At the end of the month, give the jar anonymously to someone who could benefit from the money. This tradition is called a Christmas Jar and is from a fantastic book, Christmas Jars. Support an entrepreneur through a loan via Kiva. The loan will support an entrepreneur in poverty. 97% of the loans are repaid and your contribution can be as little as $25. Global Giving is a platform that allows you to make a small donation to a global nonprofit you choose. It’s fun to scroll through the nonprofits and decide where you’d like to make an impact. When you see people doing something right, tell them. It’s always a great time to give out compliments, but since the holidays can be stressful – your compliments might be even more appreciated than usual. If you have something nice to say, then say it! In addition to the good deeds listed above, here are 103 Random Acts of Kindness you can perform. What good deeds would you add? Feel free to add them in the comments below.